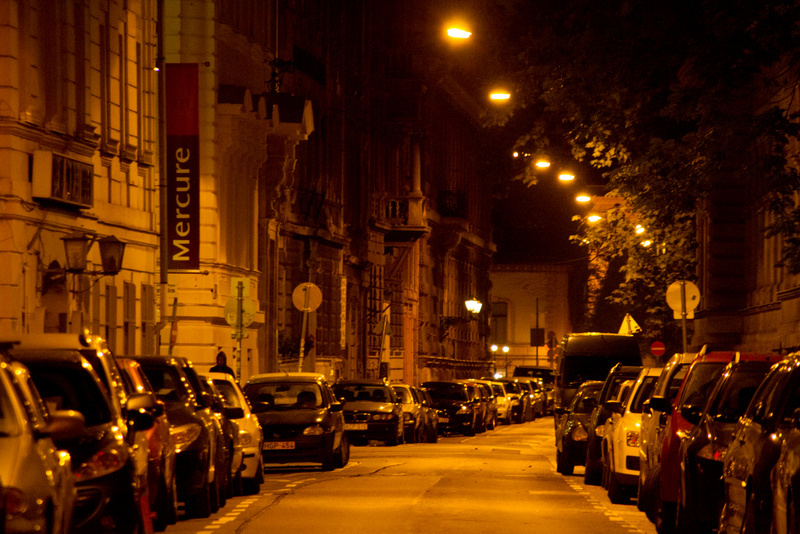 Even as the busy capital of Hungary, this city is almost free of fancy colored-lighting and flashy signage. Overall there is not much facade lighting or the glamorous atmosphere associated with many larger cities in Western Europe. However, amongst the quiet streets, historical buildings here and there are illuminated and color temperatures are roughly unified for a very comfortable nightscape with an added sense of security. View of the Danube River from Gellert Hill. On the left bank, several historic buildings are built into the hilly terrain and along the right bank, the city spreads across the flat land. Illuminated buildings over two-stories high are very few with a hand-full of buildings and bridges standing out against the dark night. 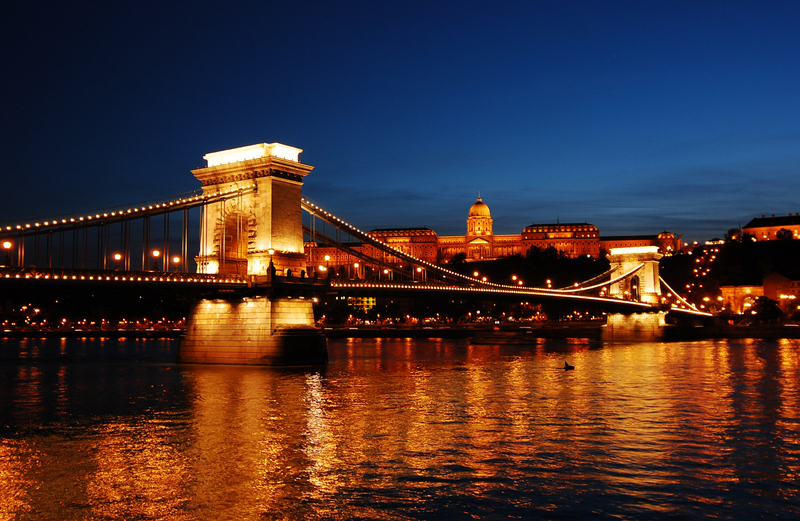 View of the Royal Palace and Chain Bridge, named for the rows of lamps along the suspension cables that resemble links of chain. 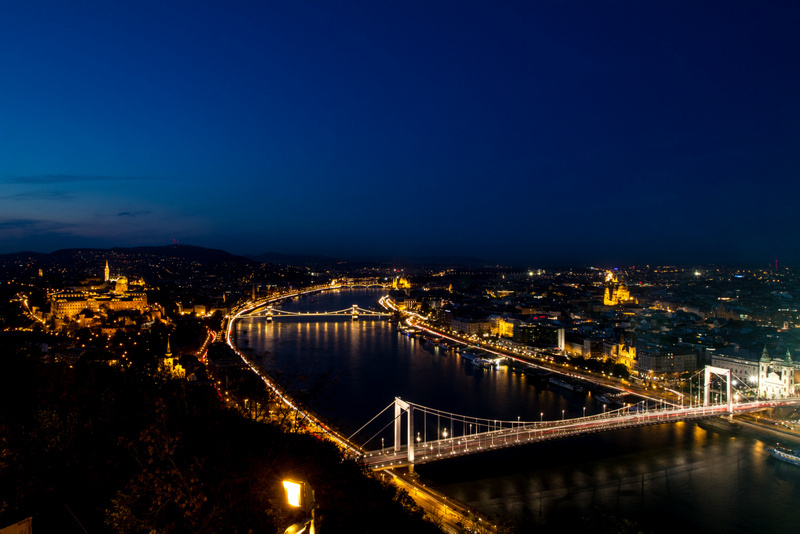 At night, the reflection in the Danube River creates a beautiful nightscape. Most arterial roads in the city are lit with high-pressure sodium lamps, but fixtures are adjusted for roadways, pedestrians, and tram platforms. Smaller streets intertwined between buildings are lit manly by catenary lighting.